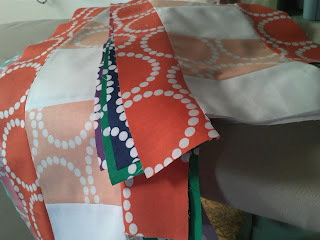 I have been working hard on my Bloom Bloom Pow Quilt Along quilt in order to keep up with the group. I do not want to fall behind. This weeks instructions were easy to complete in a few hours today. Here is this afternoon's work. 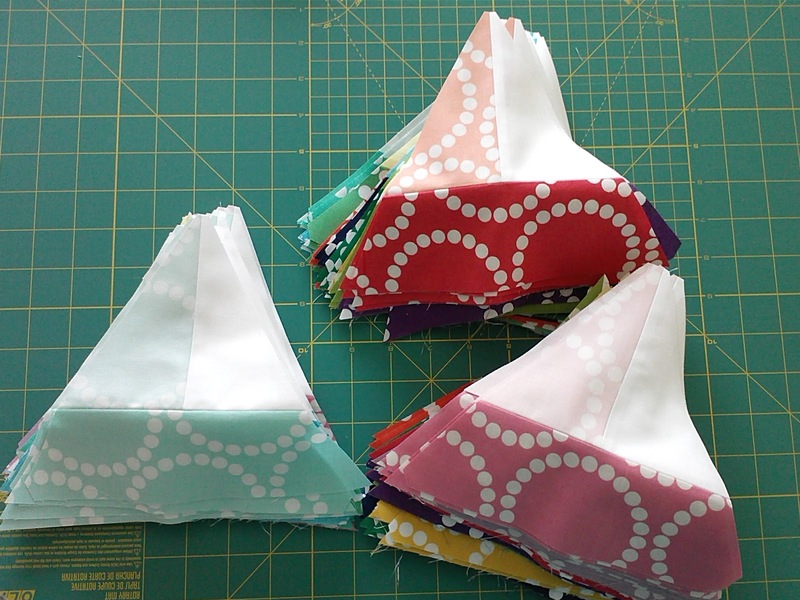 Many, many triangles cut and ready to sew. Last week's strip piecing took quite a bit longer and there were times when I didn't think I was going to make it. It seemed to take forever and was very tedious. But I made it through! I am also working on a Father's Day quilt but I have no photos yet. And yesterday morning I started and finished my design for the "Briar Rose Quilt Design Contest". I got it done while my little girl was at playschool. I will post a photo once voting opens in the contest. I am quite happy with how it turned out. It was my first time using the quilt design software at Threadbias and I am sure I will sign up for a subscription and start using it very soon. It was quite an enjoyable experience. My daughter and I went for a bike ride yesterday.We had to wear our winter coats as it is still quite chilly around here. The temperature is above zero degrees but the wind makes it feel like it is below zero. I also wore my new Honey Cowl. 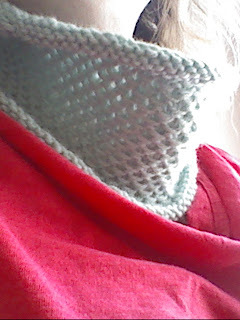 I ran into a bit of trouble and wasn't sure how to get out of it so I bound off and I have a shorter cowl but I learned the pattern which was my main goal. I am now awaiting some Madelinetosh yarn that I ordered from Etsy and will begin again on the "for real" project.